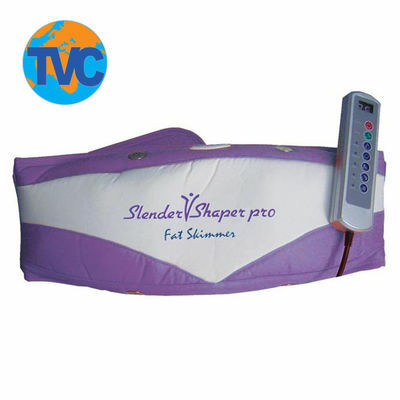 Buy Slender Shaper Pro online - TVC Skyshop - Buy world-class innovative products at affordable prices offering full value for money. Slender Shaper Pro is the revolutionary product in the world of weight loss. Its unique oscillating system, 50V powerful motor, 6 mild heat diffusion and infrared works together for vibrating and reducing unwanted fat. Its unique Fat Skimmer skims away unwanted fat, in the same manner as skimmer skims butter from milk. Using it regularly for 10 minutes, will make you feel as your fat starts reducing. Slender Shaper Pro is the revolutionary product in the world of weight loss. Its unique oscillating system, 50V powerful motor, 6 mild heat diffusion and infrared works together for vibrating and reducing unwanted fat. Its unique Fat Skimmer skims away unwanted fat, in the same manner as skimmer skims butter from milk. Using it regularly for 10 minutes, will make you feel as your fat starts reducing. Warranty: 6 Months.